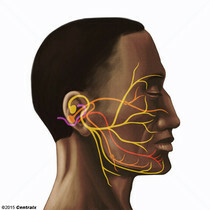 The 4th cranial nerve. 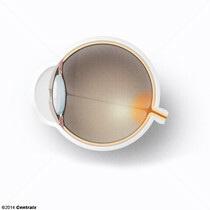 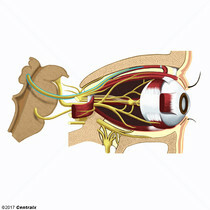 The trochlear nerve carries the motor innervation of the superior oblique muscles of the eye. 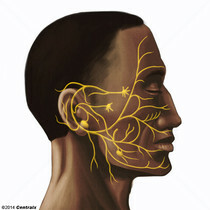 The 9th cranial nerve. 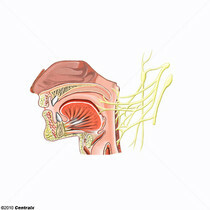 The glossopharyngeal nerve is a mixed motor and sensory nerve; it conveys somatic and autonomic efferents as well as general, special, and visceral afferents. 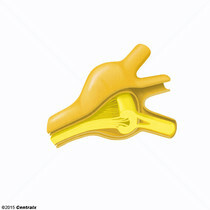 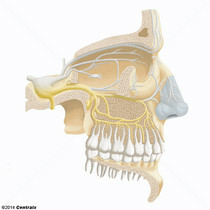 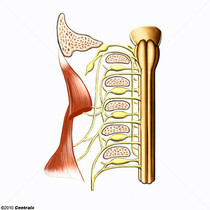 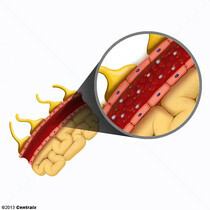 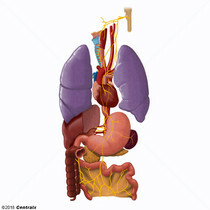 Among the connections are motor fibers to the stylopharyngeus muscle, parasympathetic fibers to the parotid glands, general and taste afferents from the posterior third of the tongue, the nasopharynx, and the palate, and afferents from baroreceptors and chemoreceptors of the carotid sinus. The 3d cranial nerve. 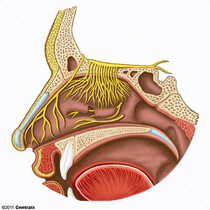 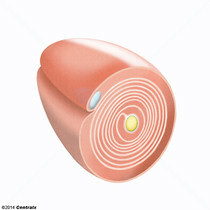 The oculomotor nerve sends motor fibers to the levator muscles of the eyelid and to the superior rectus, inferior rectus, and inferior oblique muscles of the eye. It also sends parasympathetic efferents (via the ciliary ganglion) to the muscles controlling pupillary constriction and accommodation. 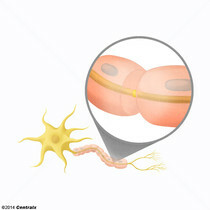 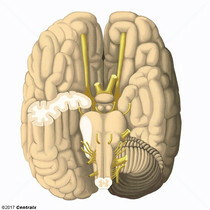 The motor fibers originate in the oculomotor nuclei of the midbrain. 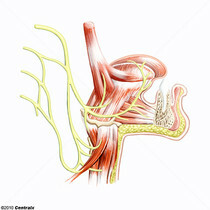 A branch of the trigeminal (5th cranial) nerve. 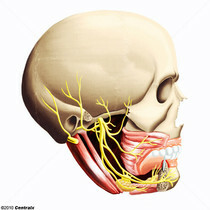 The mandibular nerve carries motor fibers to the muscles of mastication and sensory fibers to the teeth and gingivae, the face in the region of the mandible, and parts of the dura.